Combined with domestic and overseas advanced techonology, JS concrete mixing machine can work individually or to be simple Concrete Mixing Plant with PLD batching plant, also can provide matching host for mixing station. So it is a widely used high efficiency model. 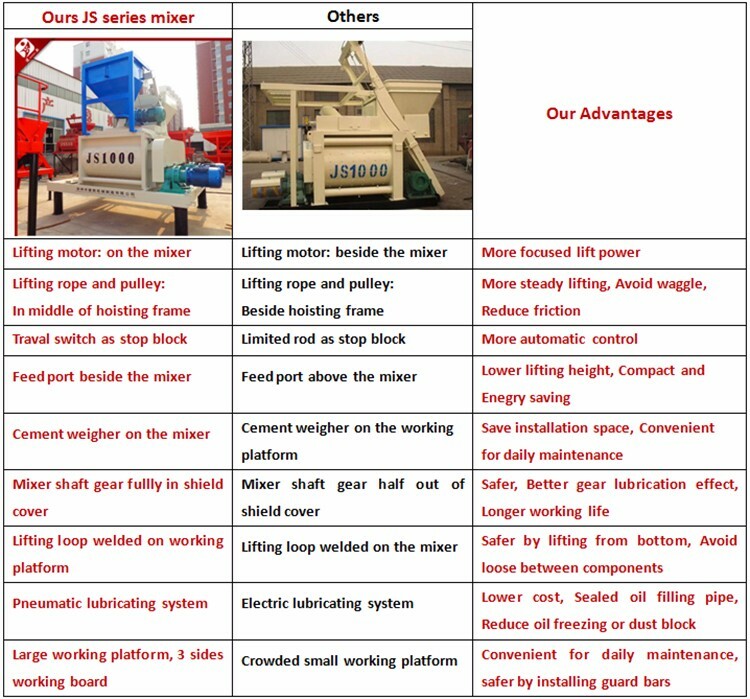 JS series concrete mixing machine is reasonably designed, easy for use and maintanance. 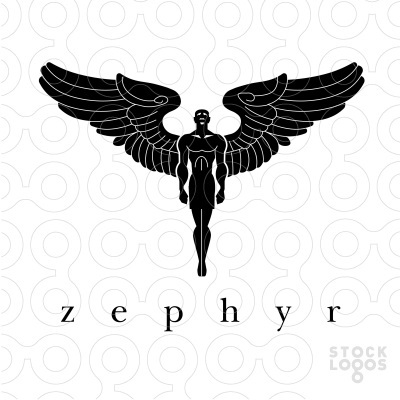 Also can be customized according to personalized request. JS series concrete mixing machine has wide applications, such as all kinds of factories for prefabrication, roads, bridges, irrigation works, wharf and other industrial or civil construction projects. Suitable for mixing hard concrete, plastic concrete, fluidity concrete, light orthopaedic concrete and all kinds of mortar. 1. This machine is specially designed for some remote areas without electricity to achieve mechanized construction. 2.. This system can supply electricity power to make sure the normal running of mixer. 3. 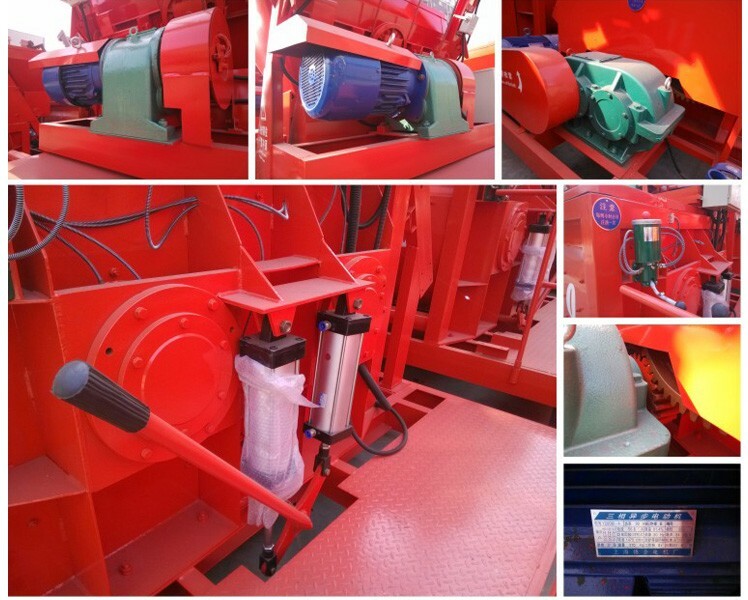 In addition, the machine can also match the external power directly, achieves diesel-electric dual-use. 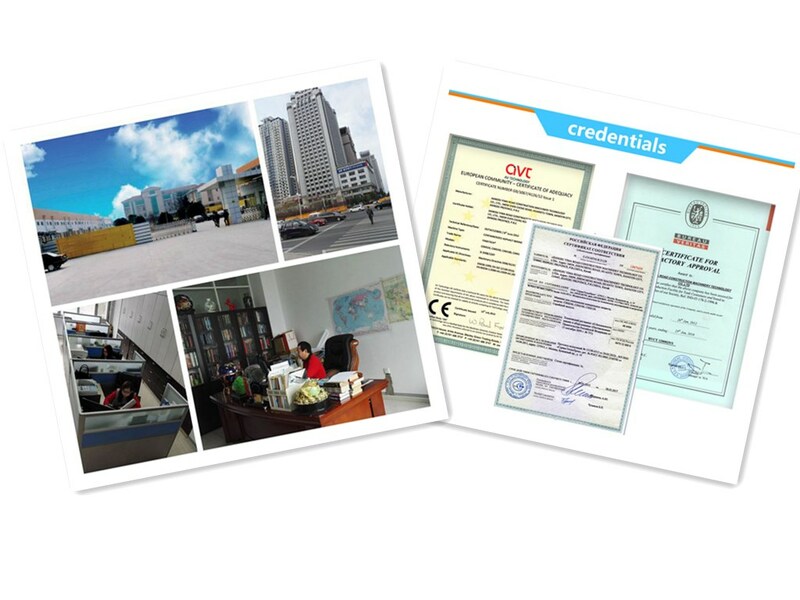 1.According to your inquiry, the first time to give the offer, the first time to give production. 2.Best After-sales: We will send the technical personnel to the site for installation, commissioning and training work. 3.Warranty period 12 Months, in addition to the force majeure and man-made factors, the damage caused by design, process and manufacturing equipment, the seller is responsible for sending people to offer free repair. 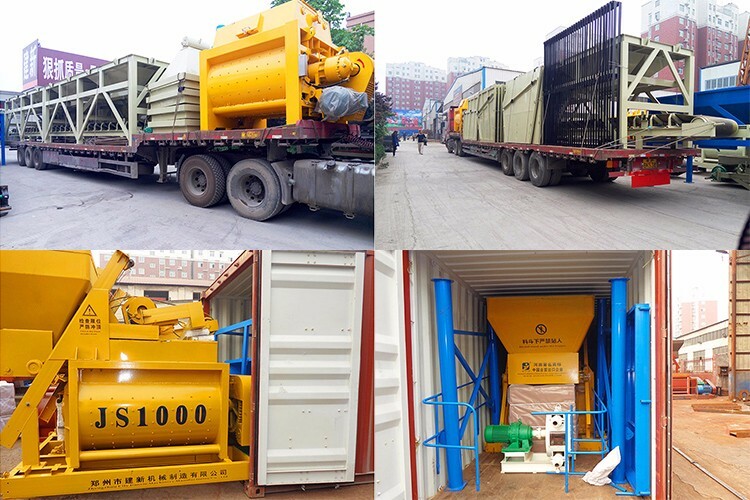 4.We will send the spare parts of Concrete Mixer Plant as soon as possible when necessary, equipment repair parts provided by the seller are original, authentic, quality goods. DO YOU SELL WET OR DRY CONCRETE BATCHING PLANTS, STATIONARY OR MOBILE? Yes, we can offer both wet and dry concrete batching plants, and stationary type and mobile type are both available. I NEED ADVICE ON THE CORRECT EQUIPMENT TO USE, CAN YOU ADVISE ME? Yes, our professional technical team will be happy to understand your needs and advise on your best options. Yes, we have a dedicated team for all spare and service part enquiries and we endeavour to keep parts for all our equipment in stock for next day delivery (48 hours for international customers). WHAT HAPPENS IF MACHINE BREAKING DOWN OR REQUIRING HELP AND SUPPORT? We have mobile engineers that are available for call outs. Alternatively support by phone or email is available 24/7. Whar 's your after-sale service? 1, 12 months warranty from products departure. Enough spare parts and quick-wear parts sent together. 2, Onsite installation, debugging, workers training. Make sure that your workers operate properly and know daily maintenance well. 3, Prompt reply in case of any problems. What`s the service life of your machinery? Usually 5-10 years under good maintenance. How soon can you reply me? In 1 working day, detailed quotation and program design will be offered. 5 days for single machines, 15 days for plants. T/T, L/C, Paypal, Credit card, Western union, Moneygram are all ok. If interested in our products, please contact with us without hesitation. Looking for ideal Mini Concrete Mixer Manufacturer & supplier ? We have a wide selection at great prices to help you get creative. 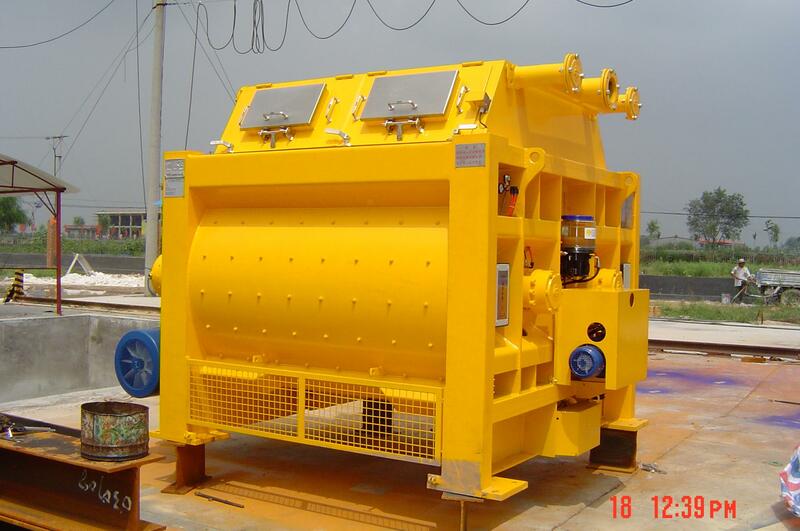 All the Concrete Mixer Machine are quality guaranteed. We are China Origin Factory of Portable Concrete Mixer. If you have any question, please feel free to contact us.